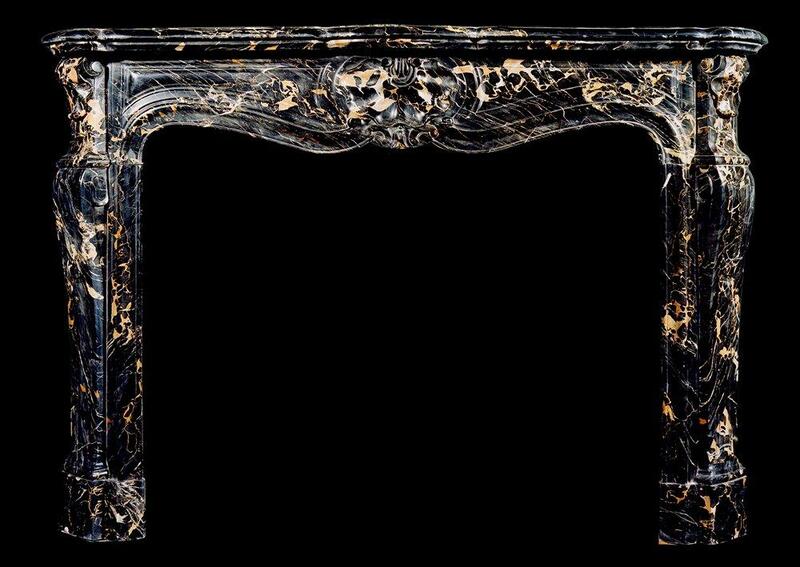 A 19th century French Louis XV style Portoro marble fireplace. The frieze with carved shell to centre, the shaped jambs with panels and carved shells above. Shaped shelf. Very good quality of marble.